You are at:Home»Entertainment»Celeb Talk»Movies Music Masti»Wish Chhota Bheem Happy Birthday! Wish Chhota Bheem Happy Birthday! It’s the biggest birthday bash of the year for the biggest superhero! POGO is pulling out all the stops to celebrate Chhota Bheem’s birthday all throughout summer. The channel has not only lined up all-new episodes, specials and movies but is also giving kids across the country a chance to meet Bheem and party with him. 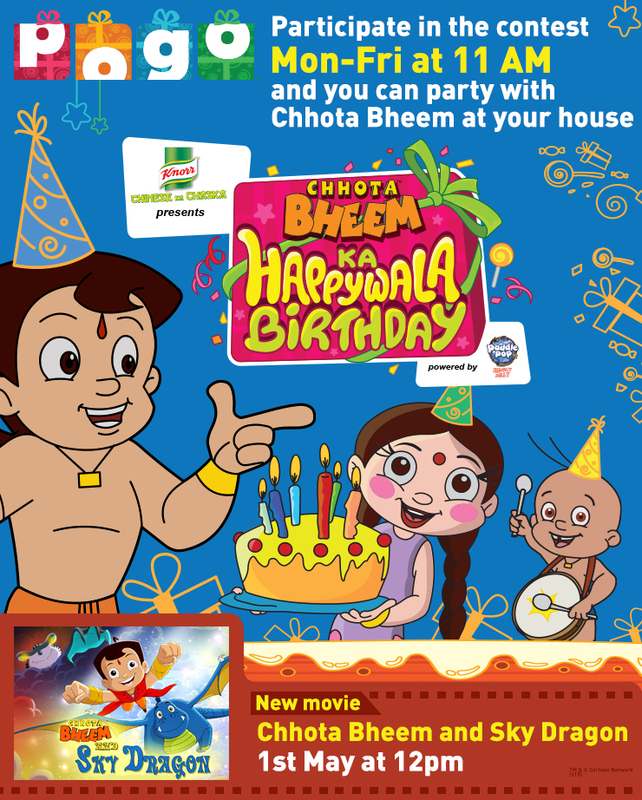 As is tradition, Chhota Bheem will be celebrating his birthday with fans across the country. By participating in the Chhota Bheem ka Happywala Birthday contest from Monday to Friday, 11 am onwards on POGO, ten lucky winners will be gratified with a special party organized by POGO at their homes with Chhota Bheem as the guest of honour! Wow…now that’s like a dream come true. The channel will kick off the celebrations with the premier of Chhota Bheem and the Sky Dragon movie on 1st May, at 12 pm on POGO. Join Bheem in his new adventure where sky is the limit! The story goes – Sky Dragon, the protector of the skies and creator of rainbows, has disappeared. 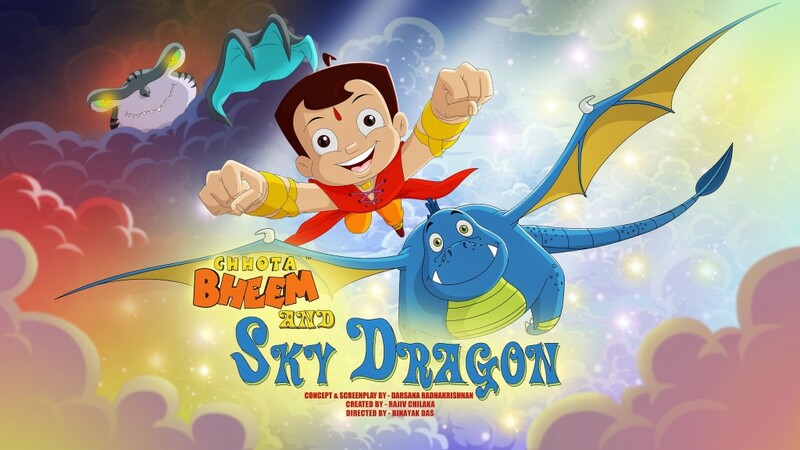 Bheem and his friends must fight Hezark, a cunning mythological creature, to save Sky Dragon and restore the peace to the skies. Sounds fun to see…..believe us kids, it’s a must watch. That’s not all. POGO has also lined up several new specials such as Bheem ka Birthday Flashback, Pogovengers and Dholakpur Musical Melaacross May to keep the festivities going. Additionally, all new episodes of the Chhota Bheem series will premiere every Sunday at 9:30am. Kids can also send their favourite superhero birthday wishes! All they have to do is log on to pogo and send Chhota Bheem a ‘Birthday ECard’. These wishes will be displayed on 01 May on POGO all throughout the day! So, have a great birthday bash kids with your own Chhota Bheem.